Build your dream home on this nice sized corner lot in the charming neighborhood of Hidden Grove. Floor Plans and a survey are available and there is not a build out time. 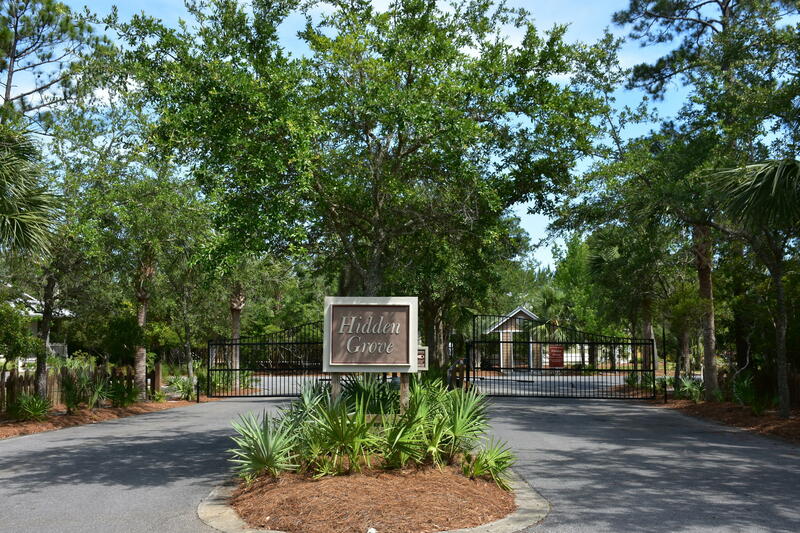 Hidden Grove is a charming gated community offering it's own pool and walking paths in a beautiful setting of natural vegetation. Conveniently located in Santa Rosa Beach just a short distance from 30A, Topsail State Park and the gorgeous South Walton beaches. The Grand Boulevard Shopping Center, Sandestin Resort, and Sacred Heart Hospital are also just a few miles away. The perfect place to call home!